Homecoming 2018: Redbirds Rising is almost here which means tons of chances to celebrate the many traditions and moments of pride of Illinois State through various events and programs. There is also one special way students can rise to the top at Illinois State Homecoming—student Homecoming court and the selection of Homecoming king and queen! Students who are a sophomore, junior, senior, or grad student can be nominated by themselves, another student, or an Illinois State faculty or staff member. Those who believe they know someone who is a proud Redbird student and positive impact on campus can submit royalty nominations through the Homecoming royalty website by Thursday, September 20. Nominees can also have been a member of a past Illinois State Homecoming court as long as they were not selected as king or queen. Homecoming court will be announced on Monday, October 8 at Kickoff with the Prez. Voting for Homecoming king and queen will open through My.IllinoisState following the announcement and close at noon on Friday, October 12. 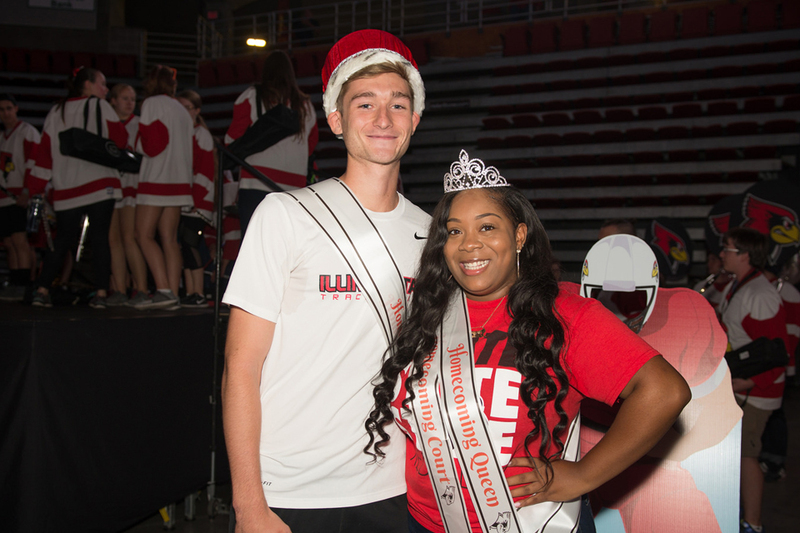 The king and queen will be crowned on Friday, October 12, in Redbird Arena prior to the beginning of Hoopfest. Any questions regarding Homecoming royalty or Homecoming 2018 can be sent to Alumni@IllinoisState.edu. What parameters will be considerated when making a decision? This doesn't seem to be kind of beauty contest, so a candidate should posses some qualities or achievements , so what they are? Hi Martha! Great question. There is a lot that is considered when selecting our Homecoming royalty. The student royalty is selected through a combined scoring system. Following a nomination, the candidate must complete an application that has several essay questions and a place to upload a resume that highlights involvement across campus (RSOs, internships, work, leadership roles, etc.). Applications are scored by a group of students, alumni, and faculty/staff. From this group, the highest ranked applications will come for an interview session that again is comprised of students, alumni, and faculty/staff. From these students, the Homecoming court is selected. There is then a vote that takes place Homecoming week for the selection of king and queen from the court. The vote, the application score, and the interview round score are then calculated to select the king and queen.